Deities of the Hindu faith represent various expressions of Brahman. Brahma created the universe. Vishnu safeguards the universe. Shiva destroys the universe. Hindu communities possess different gods whom they worship and approach the Ultimate. In Hinduism, Brahma (Father of All) means three things. He is the seed, source, and creator of all living beings in the universe. Brahma revealed sacred knowledge including the ancient religious hymns and manuscripts called the Vedas. His name is Svayambhu or “Self-Manifested” since nobody created him. This deity came from Manifested Brahman like everyone including Siva and Vishnu. 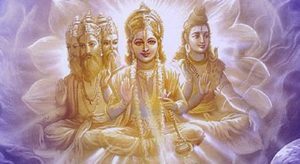 Brahma is the “Universal Self.”Vedic priests are known as Brahmanas since they worship Brahma through sacrificial rituals and invoke his power. In the Vedas, this God is the power of prayer. Upanishad texts portray Brahma as the greatest reality that rises above everything material. He is meaningful as this is the primary belief of Hindus. Brahma is neither spirit nor being. This distinguishes Hinduism from other religions. He is the basis of Hinduism because all other deities are part of him. This god stands for everything in the world including its spiritual meaning. He is the force of power as well as persona of reality, wisdom, and infinity. Brahma is significant among Hindus because of his eternal origin as the reason for and foundation of all that exists. Other Hindu deities are merely components or expressions of Brahma. The main parts are Vishnu and Shiva, preserver and destroyer of the universe respectively. Vishnu refers to “Giver and Provider of Things.” In Hinduism, he preserves and upholds Dharma, moral order of the universe and system of living that represents religion, law, and duty. Vishnu is major element of the Hindu Trinity. This god is Lord of the Universe as well as Supreme Self. The Vedas considers him as Aditya sun god, defender of law, and provider of blessings. He is a god with multiple incarnations or personifications. In due time, Vishnu turned into Narayana, absolute being among Hindus which literally translates to dweller of humans and waters. Vishnu has four arms. Each one stands for a particular attribute: Duty and Virtue, Material Wealth and Success, Liberation, and Pleasure. These traits are expanded espousing Brahma’s symbol. This deity is a divine go-between protecting justice as well as moral order by reconciling disagreements regardless of whether these are gods or human beings. People pray to Vishnu for a variety of reasons. With numerous representations, he has become a universal source of inspiration because mortals relate easily with him compared to other distant divine beings. Humans usually call upon Vishnu for protection or to acquire knowledge, wealth, or knowledge. Shiva is the third principal deity of Hinduism. The name means Auspicious or Favorable One. Shiva has other names that include Sambhu (Benignant), Samkara (Beneficent), Pasupati (Lord of Beasts), Mahesa (Great Lord) and Mahadeva (Great God). 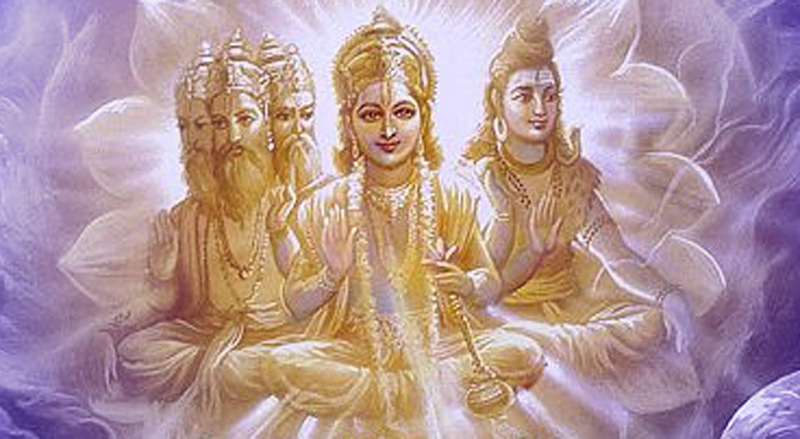 Shiva disciples are referred to as Saivites. Shiva is a contradictory god because he is known as destroyer and restorer. He is frugal and icon of sensuality. At the same time, he is the compassionate shepherd of souls and furious avenger. A very popular myth about Shiva narrates how he saved humanity by holding in his throat the poison that tossed in the waters and jeopardized mankind. As a result, he is frequently portrayed with a blue neck. Of all the Hindu deities, the Lord Shiva had the most appeal to the emotions of Hindus. He lived in the mountains bearing the trident. His third eye typifies the all-knowing perception of the Brahman. While Shiva is recognized as among the trinity, devotees consider him as Masheswara who represents the god in three forms. His distinct aspects manifest themselves as creator, preserver, and destroyer of the universe he created. People worship him as Lingeswara whose name denotes creative prowess. Isvara is also acknowledged as the Saguna or Dynamic Brahman. Ordinary humans cannot understand the singularity of the universe. The god existing in the trinity or three persons (immeasurable planes) appear at the same time in three various roles. The difference lies in the appearances which become part of the majestic or magnificent illusion that the god entwines all around humankind.